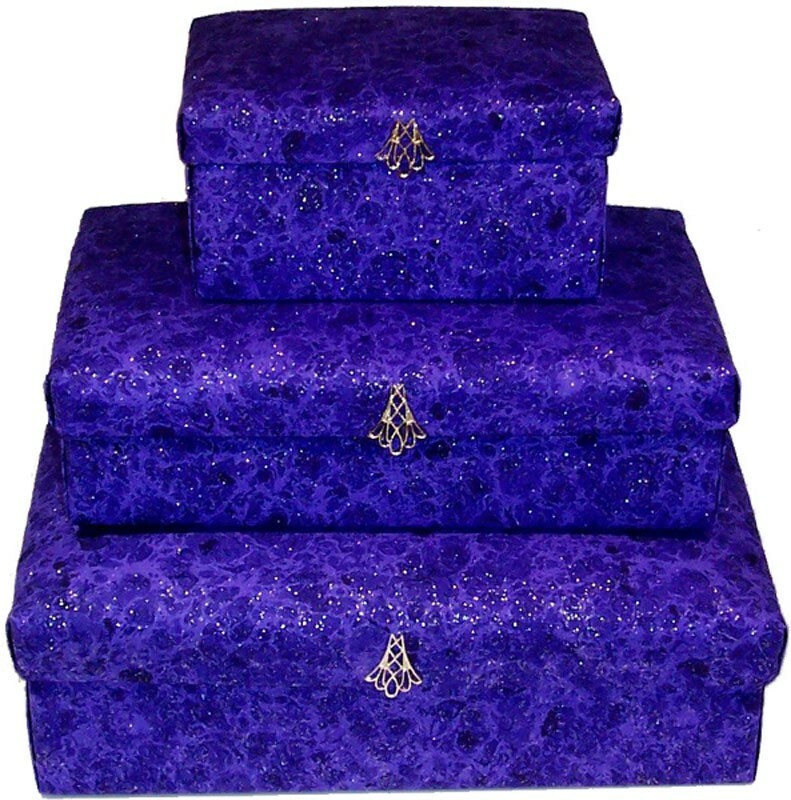 This set of gift boxes makes a rich, elegant presentation. Shades of deep purple with flecks of silver are set off with delicate silver filigree on lip of lid. 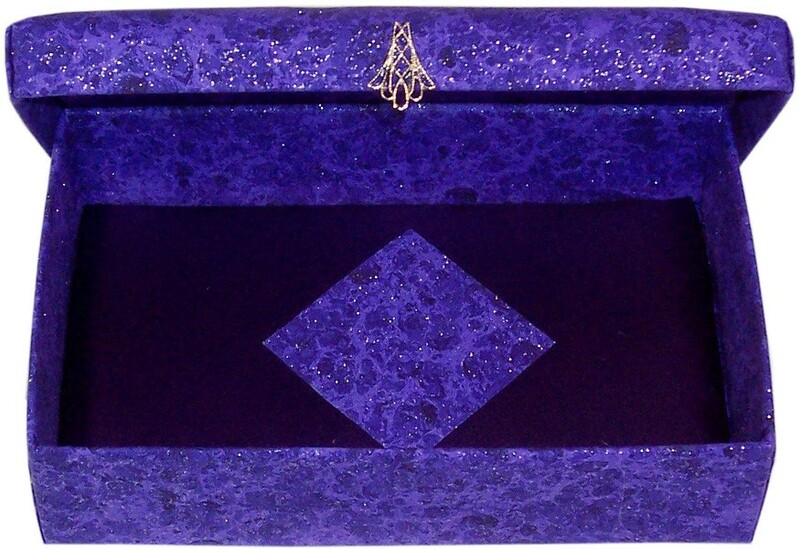 Diamond decal of sparkle fabric against black satin on inside bottom of gift box. Buy an individual Deep Purple Night gift box or the whole set! These sophisticated, contemporary gift boxes can be used to hold jewelry, small mementos, gift cards and other special items. Can be purchased individually or as a set!